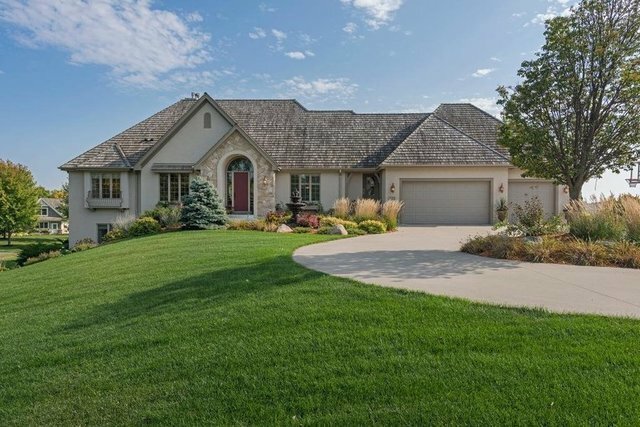 Rich one-level living in this classic Ken Durr walk-out rambler beautifully sited on a premier lot in Minnesashta Landings. The southern exposure offers views of Lake Minnewashta from the expansive deck and walk-out level. There is lake access through the association beach and dock. Special features include 4 fireplaces, top-of -the-line Viking, Thermador and Sub-Zero appliances in the new center island kitchen. The maintenance-free stucco is only 3 years old. Minutes from both Excelsior and Chanhassen. Close to bike paths, pickleball/tennis courts and playground at Roundhouse Park.